Method of transport-20 year old Specialized Crossroads bike with two saddlebags. I am very fond of my bike. It has taken me on many a journey over the years. First stop-local dry-cleaners. 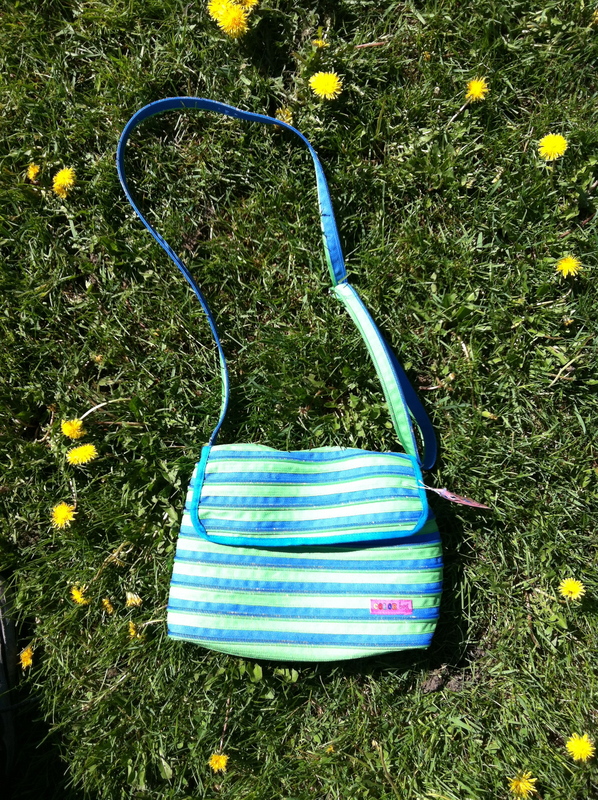 Make the drop-off and spy eye-catching purses, each made from one very long zipper. The manager is from Vietnam and his niece, who is going to university in Vietnam makes the purses. I buy one. Feel good about it. It’s for her education fund, I presume. Stop a mailbox to mail completed form to receive more accidental death insurance. Think I should call my husband to let him know I put the envelope in the Canada Post box if someone nails me when I am on the ride. Decide to take my chances and don’t call. 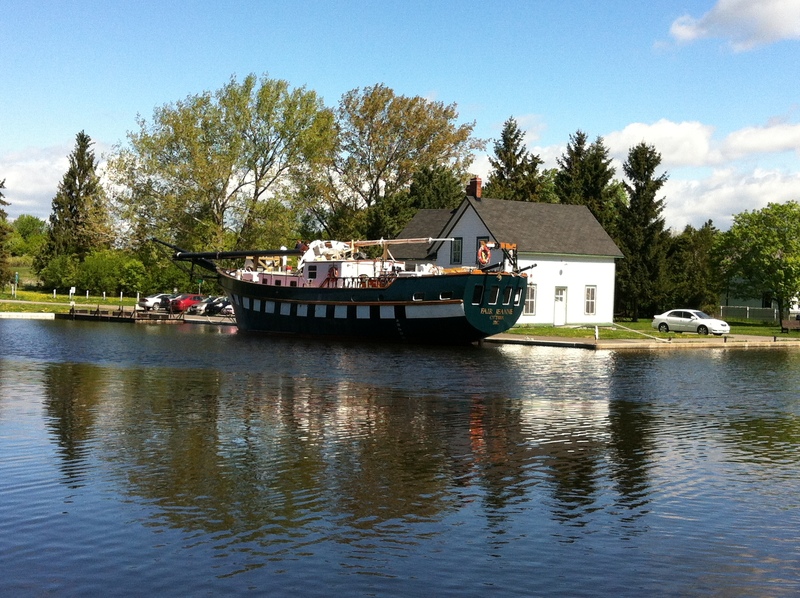 Ride along the Rideau Canal. Things are just getting started for the year. They were preparing this boat for adventures somewhere along the waterway. 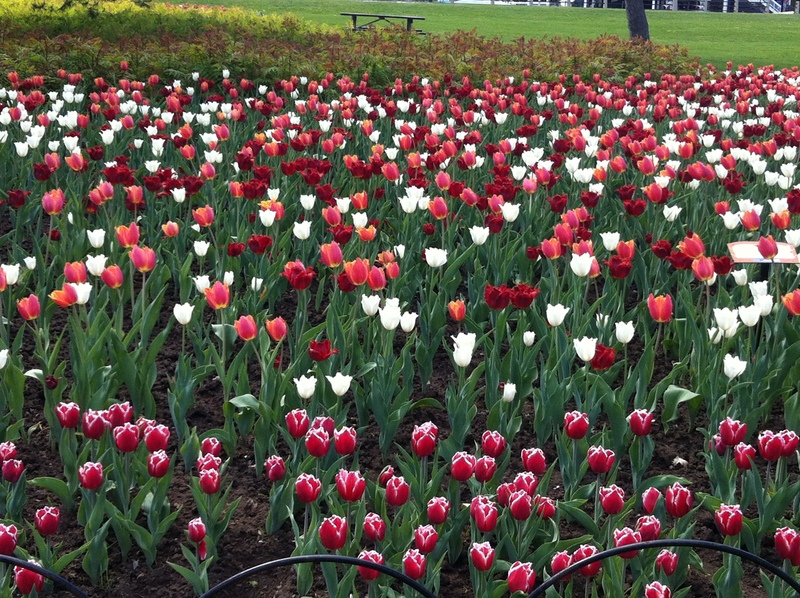 Take the route that goes by some of the displays of the Ottawa Tulip Festival. Some beds are in their prime, some are getting past their prime. 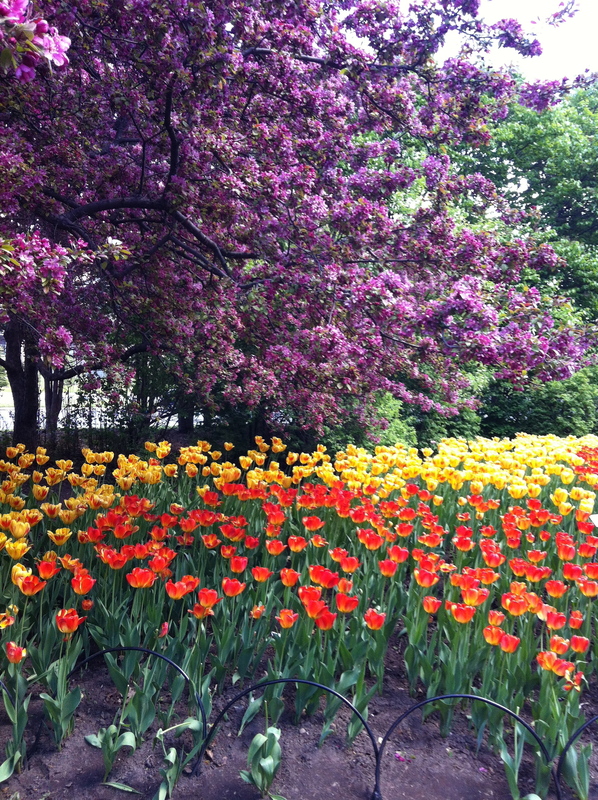 It looks as if there is a pink/purple theme with the tulips this year (first photo below is an exception). Continue on to the Canadian Museum of Civilization, crossing locks, huffing and puffing up some hills and keeping upright. Conduct a bit of business there after the 3 busloads of school children have finished buying their souvenirs. 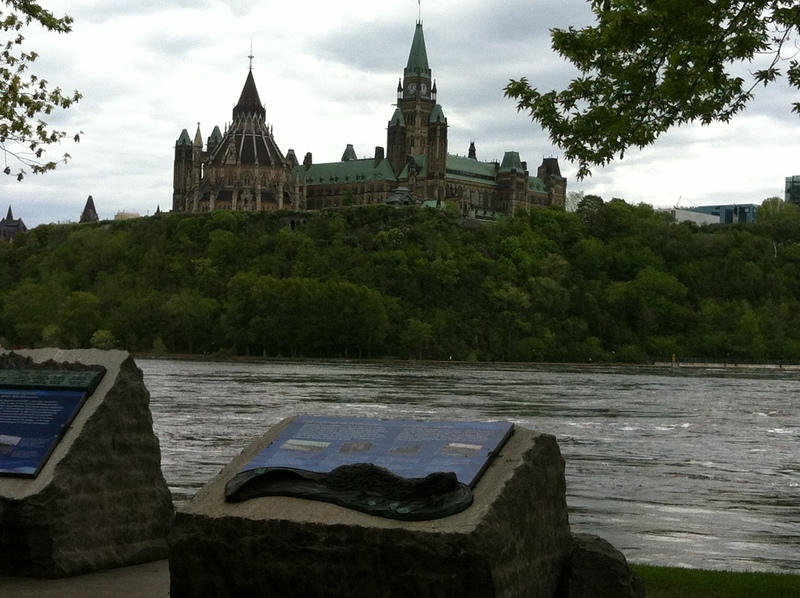 Here’s a view of the backside of Parliament Hill from the Quebec side. Meander home via a different route, trying to figure out which streets downtown in Ottawa have bike lanes. I don’t want my estate to collect the accidental death benefit I mailed in earlier in the day. How would you say that bike trip would compare to biking on dirt/gravel country roads in Saskatchewan? I would say it is easier to cycle on paved bike path, no gravel to manoeuvre around. There’s no cloud of dust that rolls by when cars pass you but there are no endless Saskatchewan skies here. …not counting the fact that you can now have a cold beer at the end of the trip of course–which wouldn’t have been an option in Sask. Depending on how old I was at the time, it might have been a rum and coke at the end of the ride in Saskatchewan. Love the pictures. enjoyed YOUR bike ride.